On today’s episode of THE FOOD SEEN, haute cuisine takes cues from haute couture with famed fashion designer Zac Posen. When he’s not on Project Runway, he’s often on his parent’s Pennsylvania farm, tending the garden, or dreaming up dinner parties with color and textures to match the season’s collection. 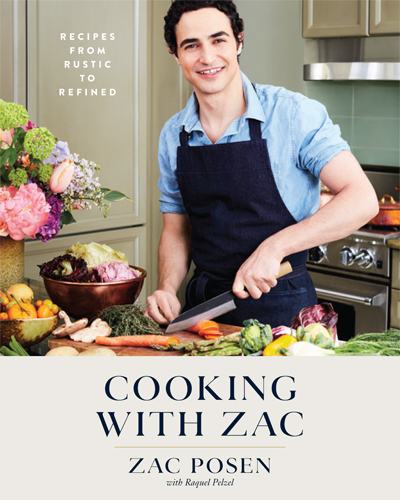 In his book, Cooking with Zac, Posen proves that he’s just as creative in the kitchen as he is in his atelier; using influences from his Jewish background to travels in Japan. Though he grew up wanting to be a butcher, an internship with Nicole Miller changed it all! Imagine what those aprons would have looked like though? !